1. Why should I outsource my permit management? Express Permit Solutions ensures reliability, speed, and competitive prices. It helps to improve the return on customer’s investments as well while removing a lot of the stress involved in acquiring the necessary permits for any project. 2. Do you know the regulations in my area? Yes! We are very well informed, obtain several government connections and work efficiently at meeting the city, state and municipalities expectations to pull / approve the permits necessary very fast. 3. How quickly can I expect to have the permit(s) approved? The situation varies from case to case. Although we do try and work as efficiently and quickly for you, the reality is situations can change based on the cities expectations and the current condition of the property we are attempting to pull a license for. 4. How much do you charge for your services? Each project varies but depending on your needs and budget. The best way we can assist you with pricing is by contacting us and requesting a free no obligation consultation. Please be specific in describing your specific permitting needs and requirements. If you are facing a lien or violation, please be ready to provide us a copy of the notice you received. 5. How does your company assist with liens and violations? Express Permit Solutions provides assistance and case representation for Code compliance cases, unsafe structures, neighborhood compliance and Expired permit violations. It is wise to take violation notices seriously not only because of the potential legal ramifications involved, but also because in most cases the violation was put in place for public safety. 6. My building permit has expired. What do I do? The first step is to visit our office and meet with our specialists so we can establish a project status. This will give us a starting point. The next steps include us helping you to get your permits reactivated and the remaining inspections (if any) completed as quickly as possible and getting your project done. 7. Do I really need a permit for an outdoor event? Yes. 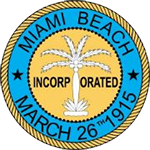 Special Event Permits, otherwise known as a temporary use permit, are required Miami-Dade county. To read more details on the specifics, please read more in the outdoor event permits page. Click on the logo of each corresponding city to see what online tools are available to assist you.